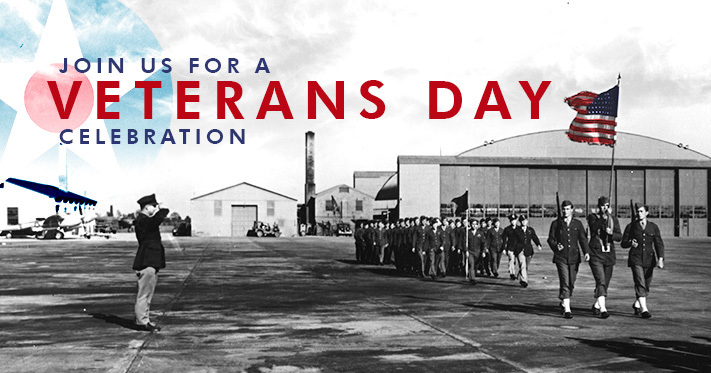 Join us at the AMC Museum for our 2016 Veterans Day ceremony on November 11th. The museum opens at 9:00 a.m. and seating begins inside at 9:50. The ceremony begins at 10:50, rain or shine, with a film and opening remarks followed by posting of the colors. In addition to the Dover AFB Honor Guard and special guest speaker Mr. Ron Gough, we will have music by the Milford Community Band. Charlie’s Hot Dog’s food truck will be available for lunch. Many of the museum’s airplanes will be open for viewing until 2:45 p.m. The museum will close at 4 p.m.